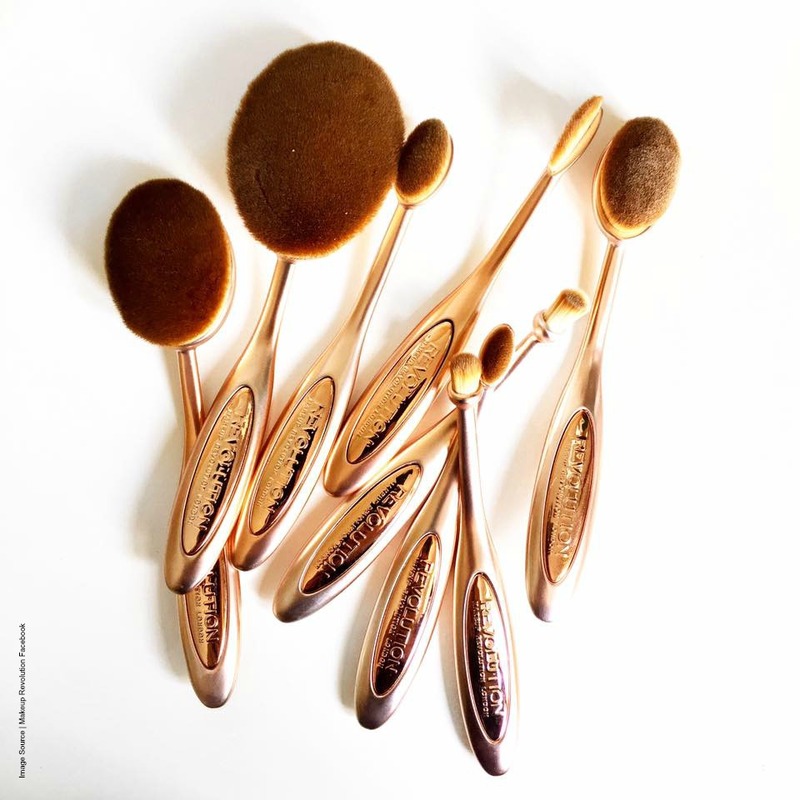 First brought to us by MAC, then by Artis, oval make-up brushes have become the subject of curiosity and controversy in the beauty world, due to their unusual shape and the way they apply make-up to the face. The early versions are, as expected fairly pricey and this can be off putting especially with something so new - will they actually do the job and are they worth it? 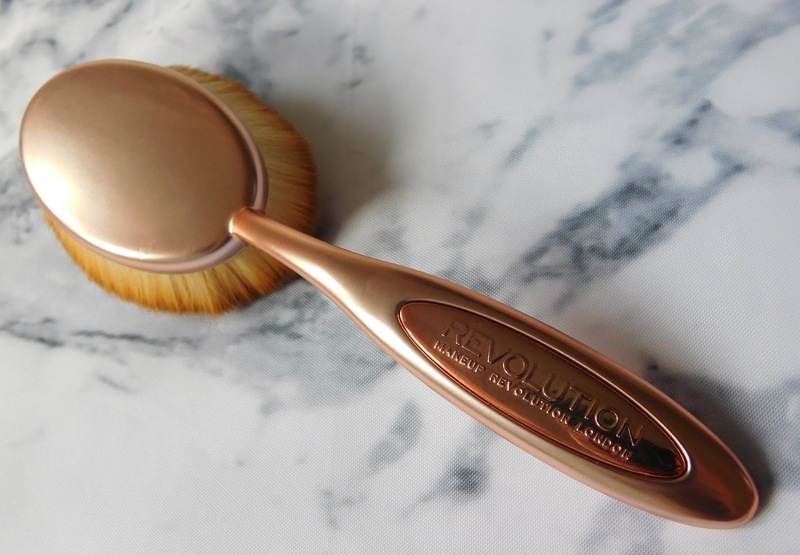 But have no fear, as Makeup Revolution have just launched their own oval brushes collection - the Makeup Revolution Precision Oval Brushes, offer precise, targeted application and all under £12! 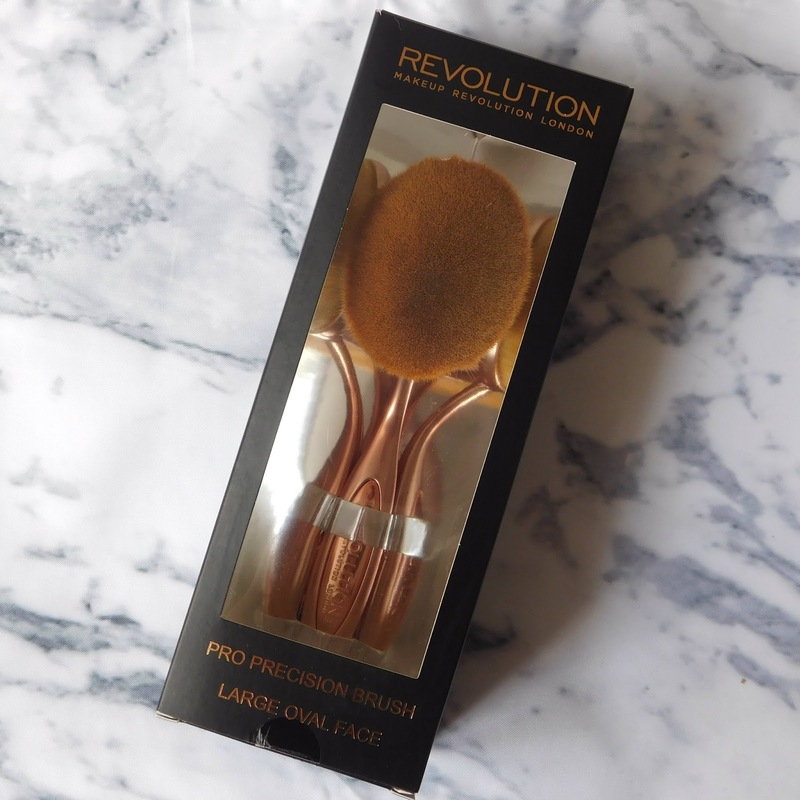 Makeup Revolution was a recent brand discovery of mine, earlier this year and so far all the products i have tried, i have loved so thought i would give these beautiful but odd new brushes a try. 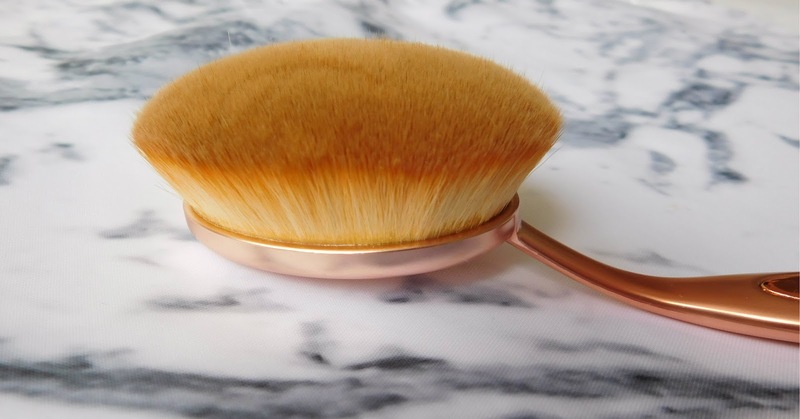 To begin with i went for the Large Oval Face Brush, as i am in need of a new foundation brush, plus it is the most versatile I think as it can also be used for bronzer and powder too - a great all rounder. Armed with my Borjouis foundation, the first thing I noticed was just how beautiful the rose gold handles are, something simple but important to me. Next up the bristles are packed super dense which creates the perfect soft cushion (don't think I have ever used such a soft brush before) and along with the oval shaped head of the brush, allows smooth application. The brush is easy to use, offers quick application of foundation/powder and despite its large size, gets into all the small areas around your eyes and nose easily. My only comment would be that the handle looks flimsy but to my surprise is actually strong yet flexible. This brush left my foundation looking smooth and natural, the perfect base for an everyday look and helped my look to last all day, especially around my nose where I often struggle. I would definitely recommend this brush and after using it, i am now very interested in trying out some of the others in the collection. 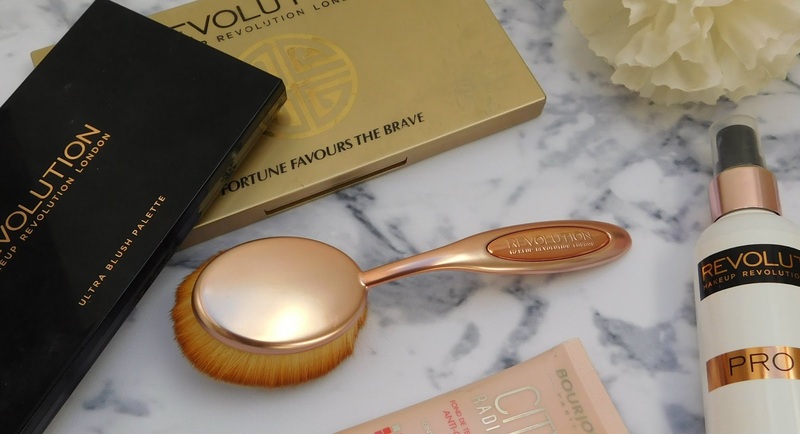 Next time i am in Superdrug, i will be picking up the oval cheek brush and if that is just as good, maybe all eight brushes from the collection will end up in my makeup bag! The brushes can either be purchased separately (from £4.99-11.99), as a whole collection or in three piece sets (face & eyes £19.99). Head over to tambeauty.com to find the full collection, and the brushes are also now available at Superdrug.